USAePay is pleased to announce that businesses currently using or planning to use DigiCom point-of-sale solutions, such as POS810, can now do so in conjunction with the USAePay payment processing gateway. A leading payment processor, USAePay is known for its thorough and ongoing efforts to prevent fraud. Compliant with all regulations set forth by the PCI Security Standards Council, USAePay has also teamed with additional fraud-prevention services to provide the most secure processing available. The recent integration gives current DigiCom users the option to process credit card payments via the most secure methods available. “We are excited to announce the merchant service of USAePay has completed integration with our Sunkeen Restaurant Management Software. 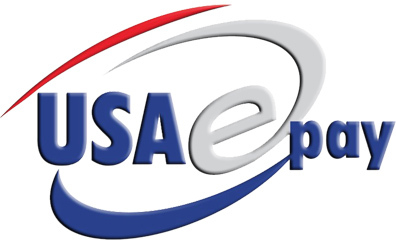 USAePay provides complete payment solutions for merchants, with multiple choices, security, and high speed. We are proud to work with USAePay to serve all the merchants,” said Jammy Chen, CEO of DigiCom International, Inc. 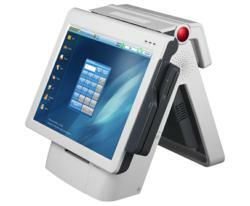 The fanless POS810 is a popular integrated system, setting an advanced trend in the POS industry. Its triangular aluminum structure is known for its reliability and sturdiness. The unique design is suitable for a wide range of applications with multi-purpose benefits, with optional integrations including a thermal receipt printer, magnetic stripe and smart card reader, VFD type customer display, and more. "USAePay is delighted to announce a complete integration with DigiCom International. DigiCom Int. has extensive experience providing feature-rich Point-of-Sale solutions and we are proud to bring this experience to our merchants," said Vlad Galyuz, VP of Integration at USAePay. Since 1998 USAePay, a GorCorp Inc. company, has been helping merchants process their credit card and check transactions with speed and security. Founded by the Goretsky brothers, the company is family-owned and based in Los Angeles, CA. The USAePay gateway currently supports all of the major platforms (First Data, TSYS, Global, Paymentech) in the credit card industry and works with some of the leading check platforms. USAePay is also pleased to work with many of the larger merchant service banks in the US and abroad. For more information, please visit http://www.usaepay.com or call 866.USA.EPAY (872-3729). Founded in 1993, DigiCom International was established by a group of industry professionals with abundant experience in the design and manufacturing of consumer computing products. Headquartered in Farmingdale, New York, DigiCom International also has a strong design team and manufacturing facility in Taiwan. In 1997, the company began its journey into the Kiosk frontier and has continued to work closely with customers to build customized systems that meet all requirements.